In 2011, the inaugural edition of Mysteryland Chile raised the standards in how to organize a festival that is so diverse and brings together a crowd that is music minded and above all, ready to dance till the sun comes up. 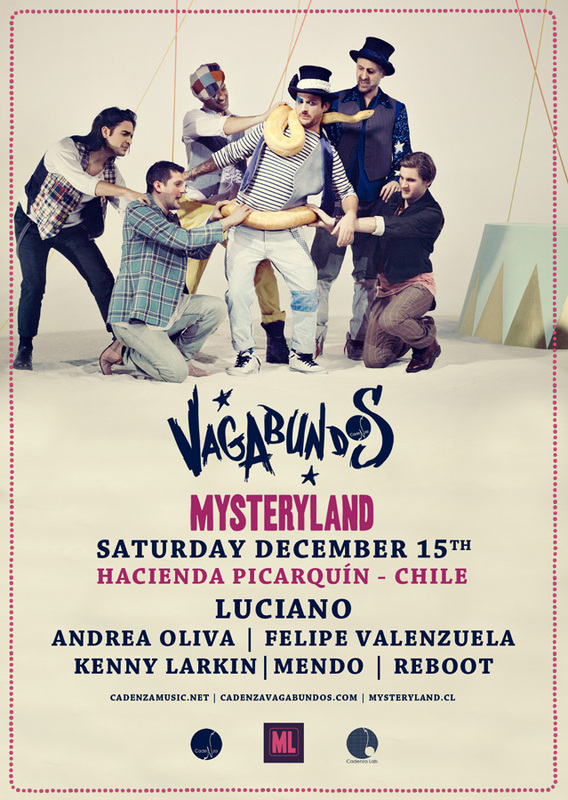 With the second edition, held December 14th -16th at the Picarquin Nature Reserve outside Santiago, Vagabundos is coming to Chile to thrill their home crowd. Head honcho Luciano is bringing fellow Vagabundos Reboot, Kenny Larkin, Mendo, Andrea Oliva, and fellow Chilean Felipe Valenzuela.